The Russian embassy in London believes a book by a BBC editor about former Russian intelligence officer Sergei Skripal based on last year’s interviews is used in lieu of his testimony on the events of last March. Annie Machon, former MI5 Intelligence Officer has discussed 'The Skripal Files' by Mark Urban with Sputnik. Annie Machon: So I don’t think Mark Urban has made much of a secret about the fact that he started his career in military intelligence, certainly in the army, and he has gone on to be become a very respected BBC journalist with very good connections to the intelligence agencies and has broken a number of quite hard-hitting stories against these intelligence agencies over the last couple of decades. But yes, he does have very good access to them; they would see him as a useful conduit to put out stories and spin stories and massage what goes out in the media coming out of the intelligence agencies. It’s a sort of two-way process which is good for the journalists but also good for the intelligence agencies as they might get some good coverage. Having said that, Mark has broken a number of stories which have been quite antagonistic to the intelligence agencies too. So I think perhaps he just got lucky here. 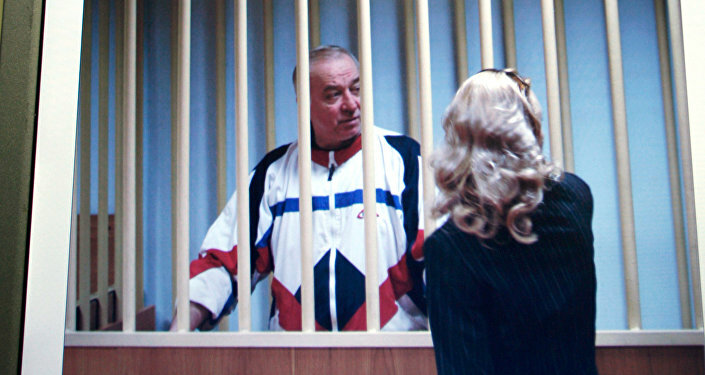 He might have an old contact who might have put him in contact with Sergei Skripal. He got some interviews which have allowed him to produce a book about a man who is world famous now because of the attack he was subjected to earlier this year. The views and opinions expressed in this article are those of the speaker and do not necessarily reflect Sputnik's position.